11 Responses to Trip to Ikea Without a Meltdown or Migraine! I just love your blog. I always thought it was JUST ME who had all those bad reactions to Ikea, thought it was my personal inadequacy, not migraine disease at work. As I read your description of all the triggers and the confounding choices that drive me crazy when I’m at Ikea, I feel a little more human, a little more able to laugh and forgive myself. I love your guidelines, and what I like best is the strategy for the day after–headache threatening but not quite there, helped by resting, helped by not pushing too hard. This amount of errands and activity is alot. I think you may be being too hard on yourself. I think I’ve said this before. As part of my migraine management I generally don’t go out after work. On the weekends I keep my activities to a minimium. I know I don’t have alot of stamina and too much stimulus is a trigger. I schedule fun and chores and errandy stuff like shopping but there is a limit. We can only push ourselves so far. I read what you did and I am like WOW, that’s impressive. Way more than what I could do. I’m tired just reading it. I think shopping and driving is tiring. Kudos to you though for being prepared and having a plan. Have you thought though of having Hart do the returns? Maybe taking that load off of you? Totally going off track, I am so sad the Red Sox did not make the Play Offs. After game 6 win I thought we would keep the momentum going but without a few key players… Those Rays, they were just too good for us. I’ll give it to them. Good plan. I make a point of stopping, first thing, at the Ikea cafeteria to eat and have coffee before I start shopping. It costs a few bucks and prepares me for the battle ahead. Don’t know if yours has a cafeteria but a nosh in the store takes the edge off the drive there, allows 20 minutes to rest, etc. I, too, go right when it opens which helps a lot. I hear the hour before they close is also quite peaceful. Only once did I actually leave before I’d accomplished my goals. I had a bunch of furniture to get, but by the time I was in the storage room downstairs, I was too sick and dizzy to deal with finding the furniture and loading it onto a cart. Alas. I love IKEA but live 5 hours away! I inevitably get a migraine while I am there. I usually go to the store once a year (almost all of my furniture in my house is from IKEA now!) and I’ll take a triptan before I arrive. But the hugeness of it, the extra stimulation, the hours and hours that I spend there, I’m still washed out from it even when I take a prophylatic pill. IKEA is worth it- it’s my favorite store in the world! I never, ever drink caffeine. Its a guaranteed migraine. Interesting comments. I got sick with fever and aching joints and labored breathing just being there for half hour. I assumed it was the outgassing of all the furniture. I still feel ill 48 hours later but better with fresh air. It’s the off-gassing of all the new products and in an inclosed poorly ventilated area. All new products off-gas. These gases are very toxic and cause a lot of health issues over time. It’s especially toxic to children! New is not always best. 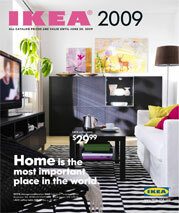 It not uncommon for people to become ill after bringing new ikea products home. Google “allergic to ikea” or ” IKEA allergies.” I worked there and developed Multiple Chemical Sensitivity. It affects people with sensitive immune systems. If you feel dizzy, nauseous, headache, sore burning eyes, and difficulty breathing you are probably reacting to the toxic chemicals in the air caused by the off-gassing of new furniture. Beware this is not joke and extremely bad for your health.